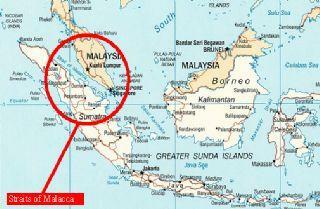 Indonesian navy personnel traded fire with three pirates in the Strait of Malacca, injuring two pirates and killing one. The Strait of Malacca is a dangerous area of piracy in the first place, and the time period right before the Idul Fitri holiday often sees a spike in piracy. The incident occurred after the Navy received word that three pirates hijacked a small fishing ship in North Sumatra, according to Commodore Pranyoto, the commander of sea security for Indonesia’s Western Fleet. Authorities responded by alerting maritime patrol officers in the area, as well as the Tanjung Balai naval base, which was nearby. The naval base was able to pinpoint the location of the hijacked ship and sent patrols to the area. The pirates reportedly stole the communications equipment along with hijacking the entire vessel. The firefight broke out when naval vessels approached. The body of the pirate killed in the conflict was returned to his family, and the other two were brought to the naval base for treatment and detention.